Please click on the image to view or download the conference program. 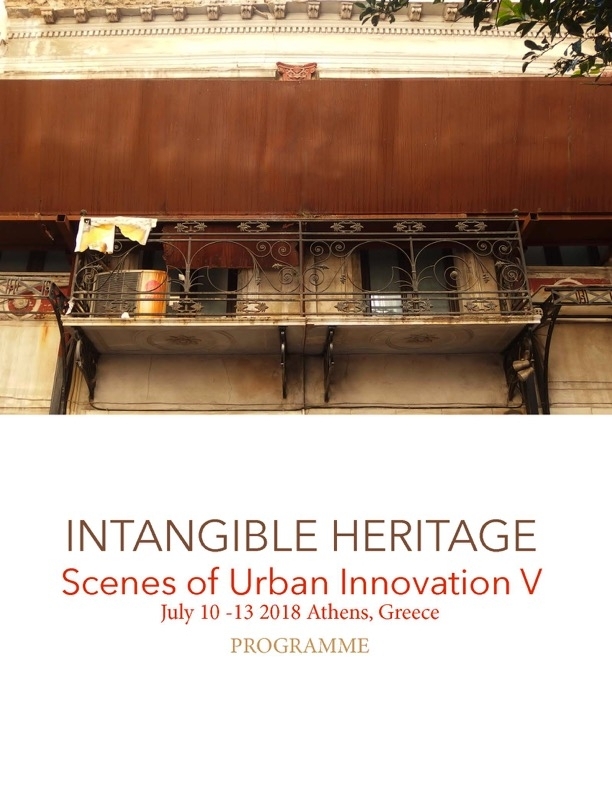 Intangible Heritage: Scenes of Urban Innovation was the fifth annual meeting of the International Association for the Study of the Culture of Cities (IASCC). The conference events are organized by the Culture of Cities Centre (CCC) and hosted in partnership with cooperating institutions in different cities each year with the thematic interest of understanding, developing and expanding upon the conceptual forms and praxis of innovation as they materialize as urban scenes.